Game of Thrones‘ season 5 finale left me dumbfounded. The barrage of jaw-dropping news from E3 nicely countered Mother’s Mercy for me, but if you feel like taking it out on something then get Factory Entertainment’s SDCC exclusive George R.R. Martin talking plush Signature Edition. The toy is clad in armor and wields a battle axe. 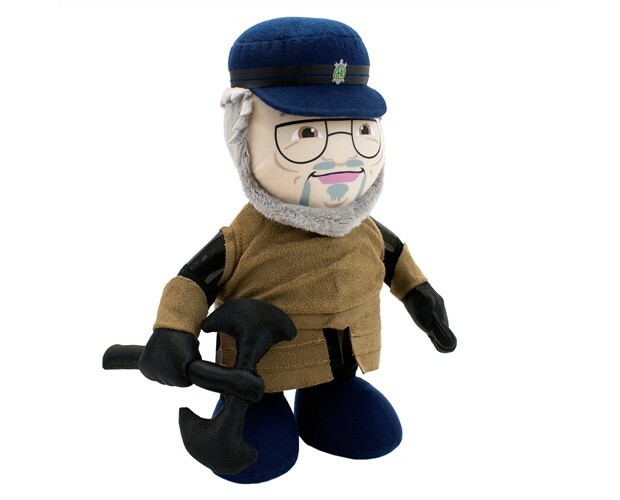 Its 12 quotes were recorded by the author just for the toy, and it comes with a card that’s numbered (only 500 units were made) and hand signed by Martin. 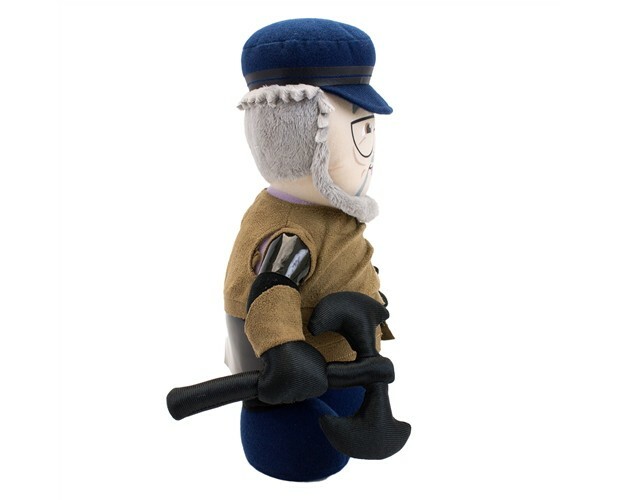 You can pre-order the toy from Factory Entertainment for $60 (USD), after which you can either pick it up at their SDCC booth or have it shipped after the event. Factory Entertainment also has a $30 standard version that’s in casual wear and has only 10 sound bites. 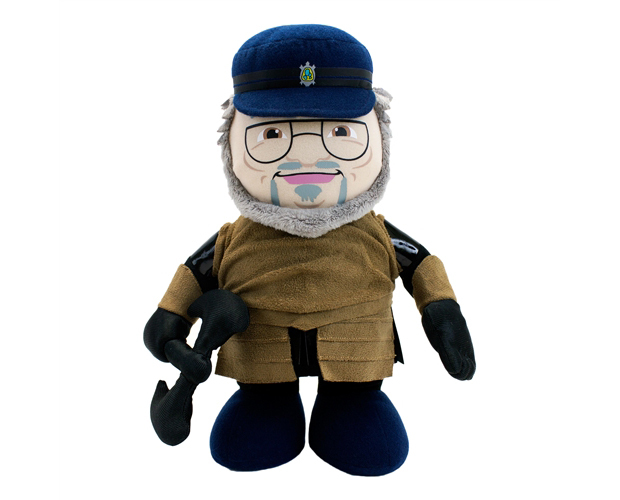 Okay plush George is actually funny. What we need is a D.B. 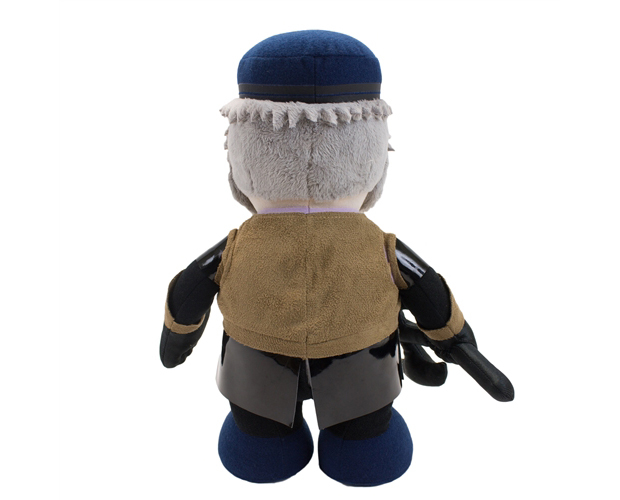 Weiss and David Benioff plush. Or punching bag.